My name is Abrehet. I am 34 years old and this is my story. Imagine being married at 12 and pregnant at 14. Imagine going into prolonged labour and being days from the nearest hospital. When your baby daughter finally arrives, imagine the feeling of relief knowing she has survived the traumatic experience, when 95% of babies in similar circumstances do not. Imagine your joy being cut short when you realise you can no longer hold onto your bladder or bowel movements. The shame of finding out you are now incontinent. Imagine a week later, your husband suddenly passes away. It’s unimaginable, isn’t it? But this is Abrehet’s story. Like thousands of other women living in rural Ethiopia, she experienced an obstetric fistula caused by being in labour for five days. And like the vast majority of these women, she was immediately ostracised because of it. 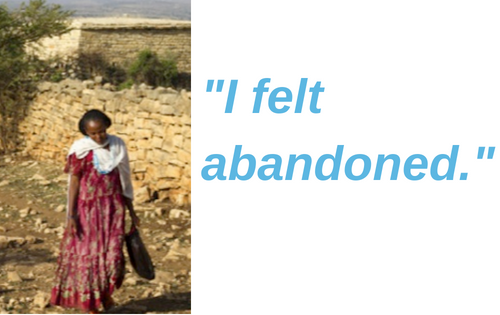 “I felt abandoned,” Abrehet says. “I had no money for rent or food and no-one would give me a job. My daughter wasn’t able to attend school because I couldn’t afford it. “She was forced to look after me, cleaning the urine from my clothes and washing my diapers. It was humiliating — I was supposed to be her mother, but she had to take care for me. How can we put an end to obstetric fistula? Fistula has been described as the moral challenge of our generation. It is almost entirely preventable – in fact there are no known cases of it in Australia or other developed countries – and it’s completely curable. Healing Hands of Joy are local partners based in Ethiopia who are on a mission: not only are they fixing fistulas by sending women to specialist hospitals to be cured – they are also working to fully rehabilitate and reintegrate survivors back into their community. 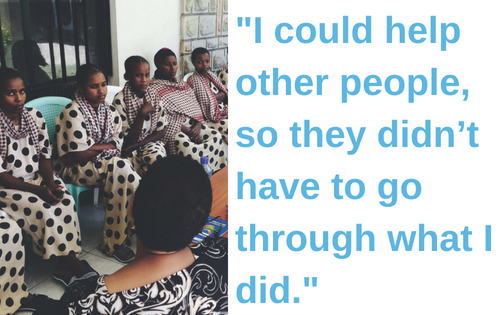 They are helping these women to get jobs, learn new skills and receive counselling to work through their trauma. Where appropriate, they are training women to become Safe Motherhood Ambassadors, providing education and access to safe delivery options for pregnant mothers. “I was 31 years old and had barely left the house in 17 years. I never thought I could be cured. When I was offered surgery to fix my fistula, I cried for days,” Abrehet says. “I knew I wanted to help other women who were like me and so when Healing Hands offered to train me to become a Safe Motherhood Ambassador (SMA), I said yes straight away. For the first time in my life, I was learning. I was getting an education and I could help other people, so they didn’t have to go through what I did. It felt so good. “My life was transformed by Healing Hands of Joy, and I am so thankful to all of the people around the world who support them and make stories like mine possible. You can stop the needless suffering of women in Ethiopia right now. Please donate to end fistula today.